オヌール航空 Onur Air(8Q/OHY) Onur Air Ta? ?mac?l?k A? Onur Air is an airline based in Atatürk International Airport.Istanbul, Turkey. 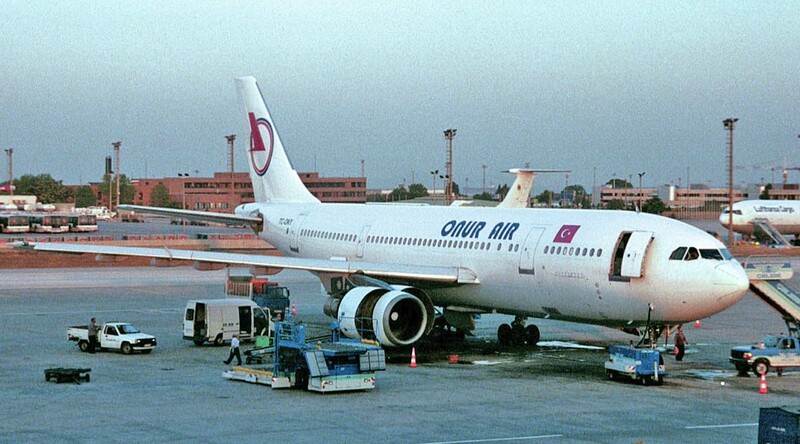 It operates scheduled domestic services and charter flights to a large number of destinations throughout Europe.Onur Air was established on April 1992. It started operations using a wet-leased Airbus A320 flight to Cyprus. Within 11 months three more aircraft were added to the fleet. In June 2010 Onur Air announced plans to start a new airline in Egypt from December 2010. Onur Air plans to transfer at least two aircraft from Turkey to the Egyptian service. The service is still subject to approval by the Egyptian authorities.